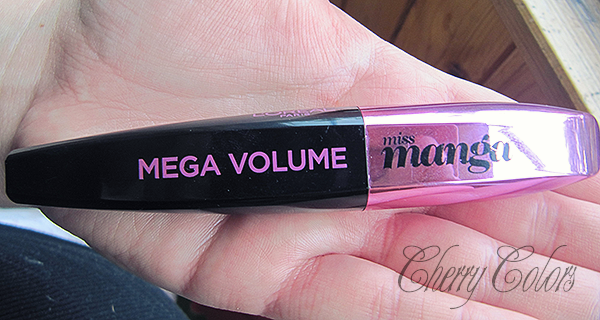 Review: L'Oreal Miss Manga eyes mascara - Cherry Colors - Cosmetics Heaven! Today I will review this hyped mascara. It is not exactly new on the shelves, but it is not old either. 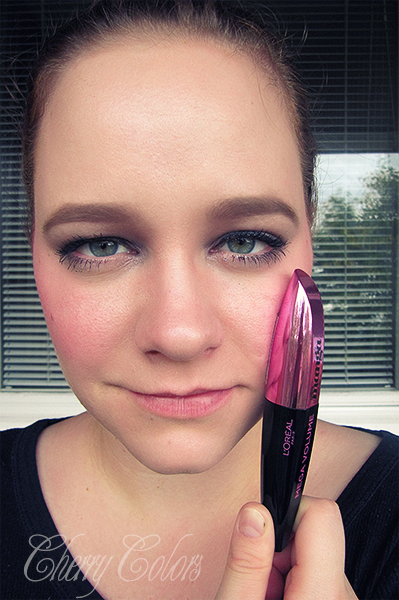 It is the Miss Manga mascara! As you can see, the packaging is lovely, a nice black and pink look. Sleek and looks wonderful. The only downside is that the text is quite easy to wear off with prolonged use. 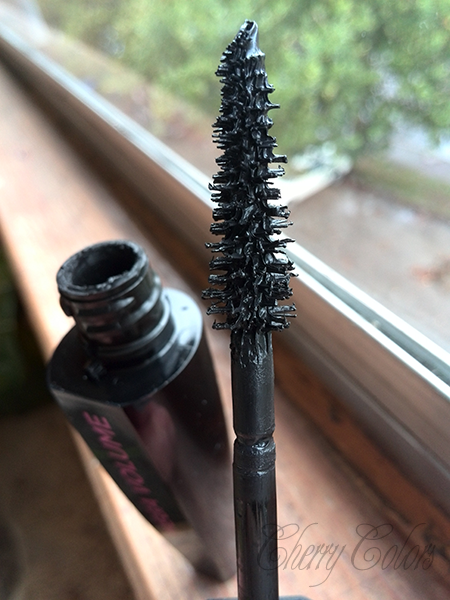 I am not sure how the packaging will look after three months of use (that's how long I use my mascaras). The brush is big, cone-shaped. The most surprising thing, however, is the fact that the head can wiggle - it has a flexible head. It is funny, but can be quite annoying at first. I think it is supposed to help you get wow eyelashes. I thought it was annoying at first, but then I mastered the "keep your hands super steady" tactic. 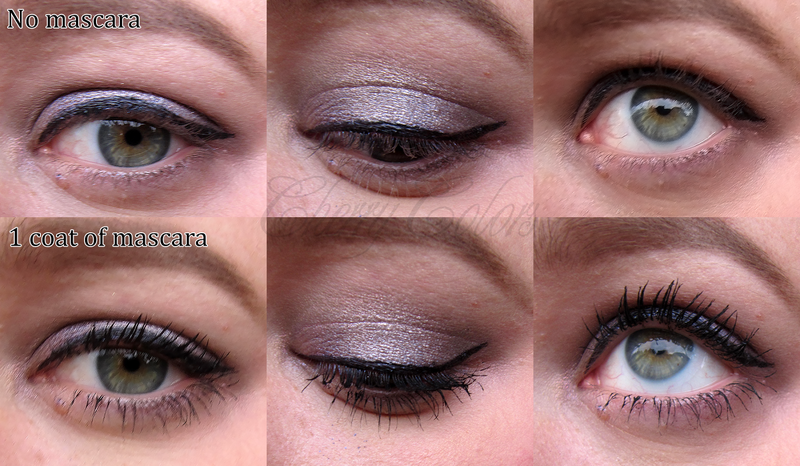 I decided to show you how it looks on both my eyes, one layer only. The application was made with a light hand, so there wouldn't be any clumps. It does look good, but as I said - I use extra caution to apply it since it clumps really easily. And then you have spider legs. Not a pretty sight. But overall I do like the easily accessible big lashes it gives me. Maybe not as big as I am used to, but they are fine for a daily look. And of course, it is build-able. 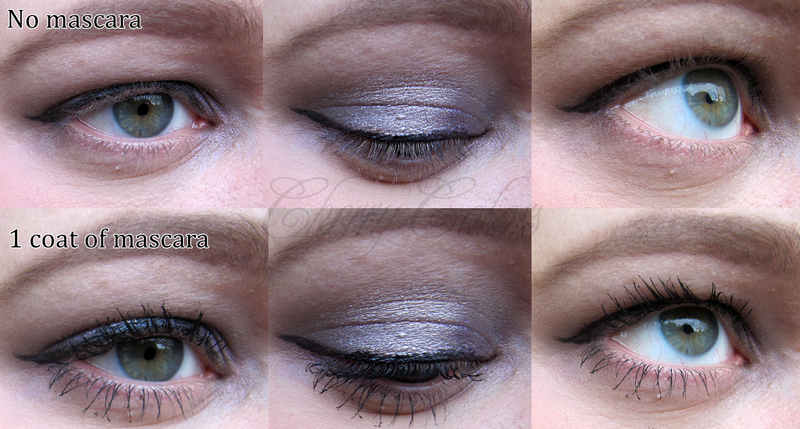 From zero to spider lashes. I do like it, but it can go quickly downhill with it. Use with caution (it should say). I am not sure if I will repurchase it since it is nothing too special compared to my usual mascaras (but then again, my lashes aren't problematic or straight or anything at all), but I did like the thrill of it (and the pretty design). 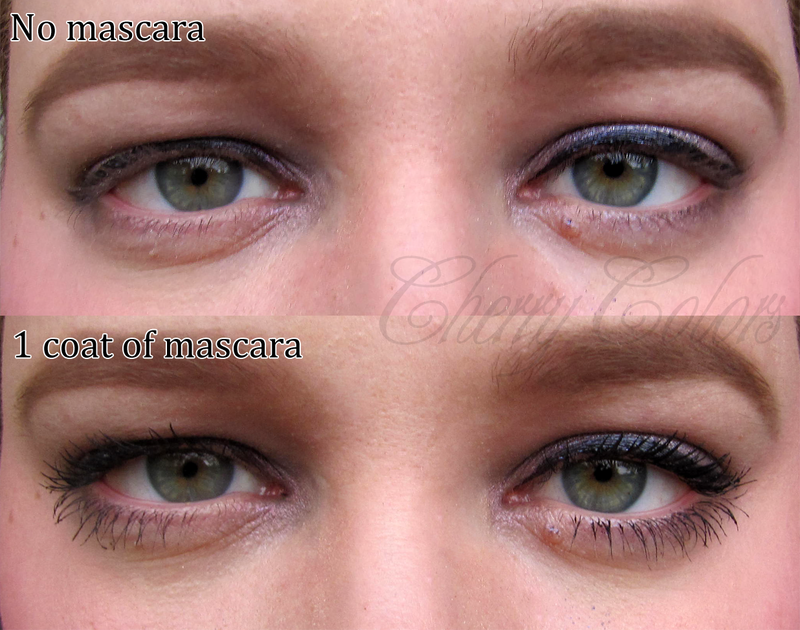 It definitely is quite a fun experience putting on mascara now (because you know.. spider lashes can happen now! ), but I don't recommend it for when you are in a rush. Not worth it.